What are your favorite rosacea skin care products? 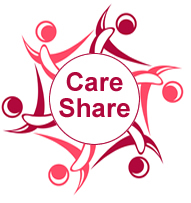 Welcome to our first Rosacea Share Care community call out! Topic: Favorite Rosacea Skin Care Products. Details: Share your favorite over the counter rosacea skin care products that you are currently using and find effective. Is it a cleanser, moisturizer, toner, calming product, sun screen, anti aging or a combination there of. On a scale of 1 to 5 where 1 is the least and 5 is the most, rate cost of the product. What rosacea symptoms did it help you with? Would you recommend that product to others? Comment Below, Share your favorite Rosacea skin care products TODAY! Help your fellow rosacea sufferers learn what has worked for you, you may just make a huge difference in someone’s life. To participate you must use a valid email address when registering to comment on this blog as award notification will be sent to that address. Participant entry is : one per person/address/household, must follow the guidelines as stated in our Care Share Rewards program. Award has no cash or trade value other than what it is stated for.